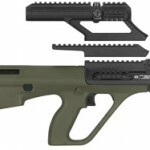 The anticipated bullpups from Desert Tech, on top of having a great trigger out of the box, are also incredibly modular. 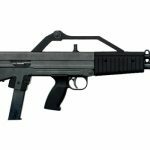 The full size MDR is 27.12″ long with a 16″ barrel. MDR 16″ barrels will be available in .223 Remington, .308 Winchester, and 7.62x39mm. Aside from those caliber conversions the MDR (FDE prototype below) will have a conversion to convert it to a more compact MDR-C (black prototype below), and vice versa. 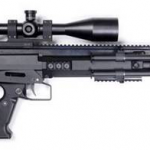 The MDR-C is 21.62″ long with a 10.5″ barrel available in .223 Remington, .300 BLK, and 6.8mm SPC. 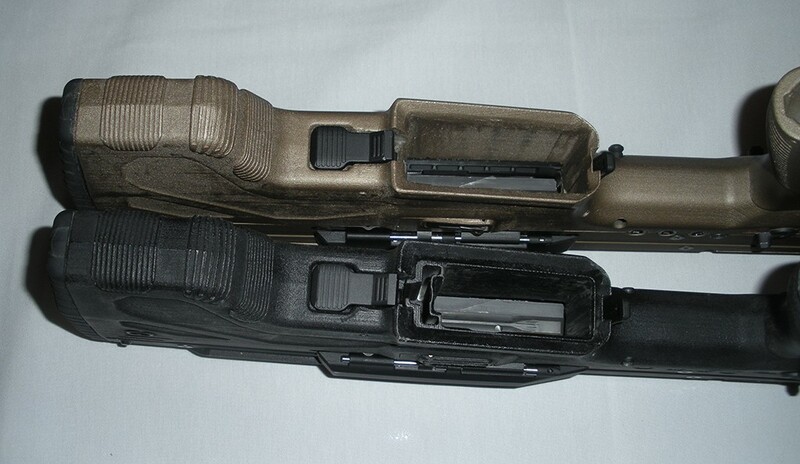 The magwell is the same on each but with an insert to scale it changes from the .308 caliber size to the 5.56mm length. 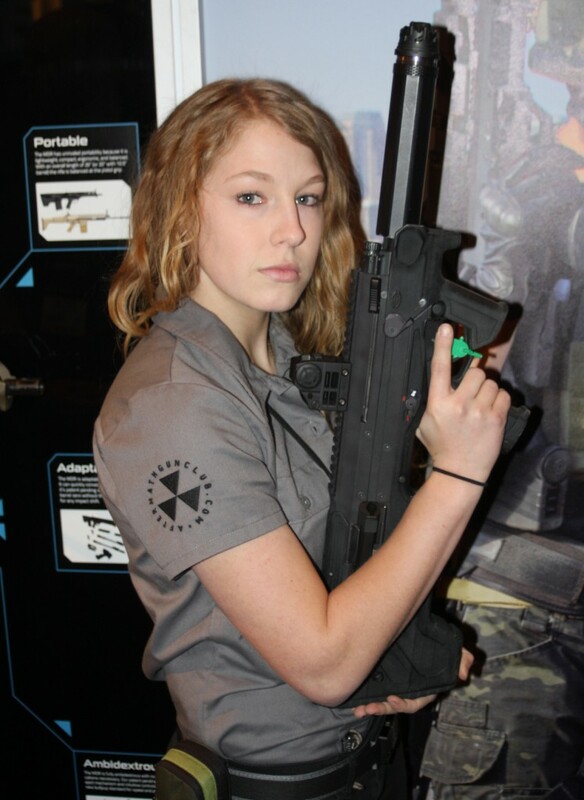 Note the magwell insert on the black bullpup below. I’m concerned about the angle of insertion for the 7.62x39mm conversions, as the grip appears in the way to rotate the magazine in, like one would do on a standard AK. Maybe it doesn’t use AK mags though. Desert Tech was also showing something else for the MDR – the MDR has been designed and tested for the shown Operators Suppressor Systems (OSS) silencer. DT makes their own suppressors so it is interesting they have made sure the MDR and OSS perform exceptionally together. I believe the OSS shown is the BPR1425, a can designed with no baffles and is said to work like a reverse jet turbine. Whatever that means, the end result is no blowback, a suppressor designed to increase performance of shooting first and sound reduction second. I have no personal experience with OSS products but look forward to trying this out in the future. 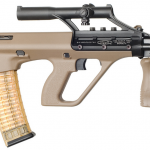 The MDR shows what can be done when considering the previous bullpups on the market and thinking how to address user complaints. Namely, trigger, modularity, ambidexterity, ergonomics, precision (accuracy and retaining zero with changes), and maintenance. 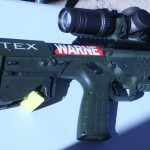 I suspect left-handed bullpups fans will finally get that perfect rifle.